Who said that? 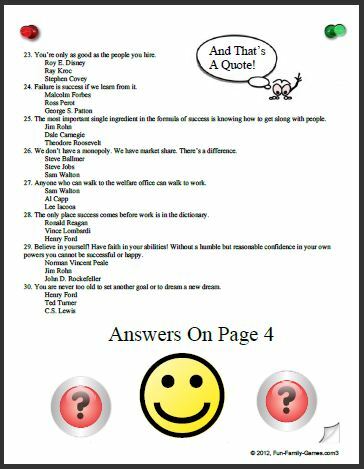 Famous Quotes Trivia will answer that. Over the years there has been many worthwhile statements made that we like to hold onto. So much good advice or maybe a humorous comment worth remembering. Although we do remember what was said, in most cases we don’t remember who said it! 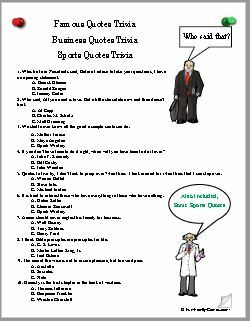 We have started a trivia list that we will continue to add to over time. There is also a link down the page that goes to an excellent quotes website. 1. 40 Quotes from ????? Thats a Quote, $2.99....Have Fun!